BBC: The Jewish Chronicle has apologised to readers who complained after it ran an advert for the Disasters Emergency Committee's Gaza crisis appeal. The weekly newspaper said running the advert was "meant as a purely humanitarian gesture".When it launched the appeal, the DEC said the latest conflict had made half a million people in Gaza homeless and warned of a "humanitarian emergency". After a DEC advert featured in this week's Jewish Chronicle (JC), a Facebook page was set up calling on readers to boycott the title until it issued a "full apology". It accused the newspaper of "ignoring the sensitivity of this conflict which is having a day to day impact and effect on the Jewish community here". "We have nothing against giving aid to people caught up in a conflict" it said, but accused the Hamas rulers of Gaza of using aid in a campaign of violence against Israel. A message posted on the paper's own Facebook page pointed out that the advert was "not an expression of the JC's view".It added: "We have received complaints from readers angry at the decision. We apologise for the upset caused." It said it would give space in the next issue to readers wanting to object to the advert. One reader replied: "Maybe you should donate the money you received from this diabolical advert to a pro Israel cause too. Utterly disgraceful." Others supported the decision to run the DEC advert, however, saying it was the "right thing to do". Writing on the JC website, editor Stephen Pollard said: "It is a critical part of our editorial independence that we do not allow advertisers to have any influence at all on the paper. "The ad was approved by the chairman of the JC, who has no involvement in editorial decisions, as an ad for humanitarian aid which nowhere makes political or partisan points." 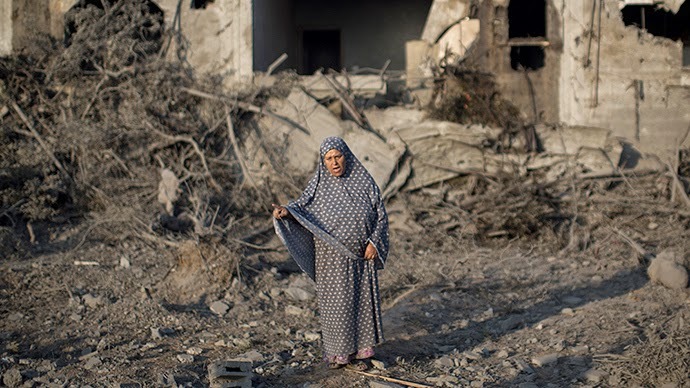 In a statement on the DEC's website on Thursday, addressing the "tone of the debate over Gaza", chief executive Saleh Saeed said: "The DEC's launch of a public appeal in response to the humanitarian crisis in Gaza has been wrongly interpreted in some quarters as a political statement. "It is nothing of the sort. Giving aid is not taking sides."